Anadolu Sigorta: "5 million Euro savings thanks to not having to pay-out proven claim frauds. 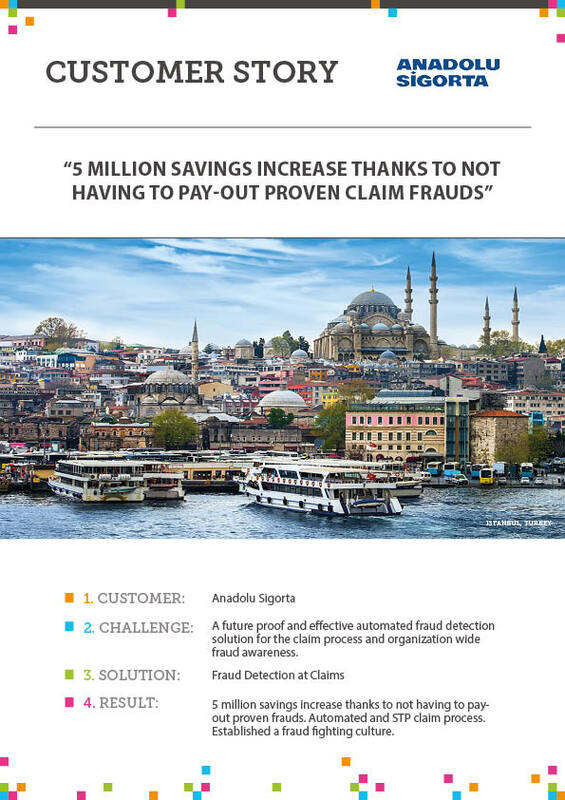 Learn how Turkish insurer Anadolu Sigorta saved 5 million Euro and realized 210% ROI after only 12 months thanks to not having to pay-out proven claim frauds. Besides that the fixed-price project was finished within 6 months and stayed within budget.